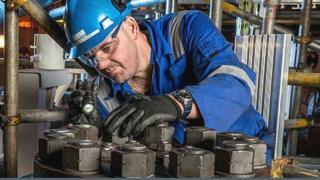 Scottish engineering giant Weir Group has agreed to sell its flow control arm to private equity investment firm First Reserve for £275m. The division makes pumps and valves for power, industrial and downstream oil and gas applications. Glasgow-based Weir put it up for sale last April, seeking to focus on mining and upstream oil and gas markets. The transaction, which needs regulatory approval, is expected to complete in the second quarter of 2019. Mr Paradis said: "Weir Flow Control provides high-quality products and services, critical to the safe operations of our clients in the downstream, midstream, utility, and industrial end markets. "As an organisation, we enjoy strong long-term relationships with our customers and pride ourselves on innovation that places the customer first."